The year 2015 is starting off with a bang- not neccessarily in the ring, but definitely outside of it. The pieces on the chess board are moving into place and when the smoke clears, we will (maybe) have a better picture of the boxing landscape. Andre Ward’s frustrating court battle with Goossen Tutor apparently has come to an end. Jay Z’s Roc Nation announced the signing of Andre Ward during their initial boxing card last night in Madison Square Garden’s theatre. Ward can get back into the ring. That’s all I’ll say. Even before all of the litigation, one knock on Ward was his lack of activity. Will Ward get HBO, Showtime, or free major network exposure? Or will his fights be primarily on Fox Sports? Stay tuned. On Thursday, Roc Nation also completed a deal to buy promoter Gary Shaw’s company. This move gives Roc Nation a decent stable, including heavyweight contender Bryant Jennings, Thomas Dulorme, Tureano Johnson, Daniel Geale, and Darleys Perez. 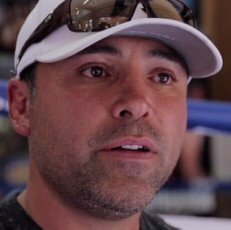 Oscar De La Hoya’s Golden Boy Promotions settled its lawsuit against former CEO Richard Schaefer. Schaefer will be barred from promoting for a specified period of time (as yet unknown), but the expectation is that he will align with Mayweather and Haymon as part of Mayweather Promotions or “Haymon Boxing”. If Schaefer joins Mayweather Promotions, many speculate it could spell doom for current CEO Leonard Ellerbe. If that occurs, I believe Ellerbe has been in the game long enough to successfully catch on with another promotion. Along with the announcement of the Schaefer settlement, we have a bit (just a little bit) more clarity with the stables of fighters. Golden Boy reportedly retained the promotional rights to Amir Khan, Lucas Matthysse, and Leo Santa Cruz. Amir may currently be a free agent according to some sources. Haymon keeps promotional ties to RING junior welterweight champion Danny Garcia, and Adrien Broner. For those aligned with Al Haymon (and Mayweather Promotions) it is business as usual. The timing is impeccable, as boxing returns to NBC (and affiliates) beginning in March. I expect something big here. I expect a Super Bowl commercial not only announcing that boxing is back on NBC, but if the Mayweather/Pacquiao fight is ever to be made, why not announce it during a Super Bowl commercial? That would be huge! Previous boxing news: Pacquiao vs. Mayweather Jr.: Start saving your pennies? You are here: Home / Boxing News / Let the Games Begin: Ward, Golden Boy, Schaefer, Broner, Khan & More!